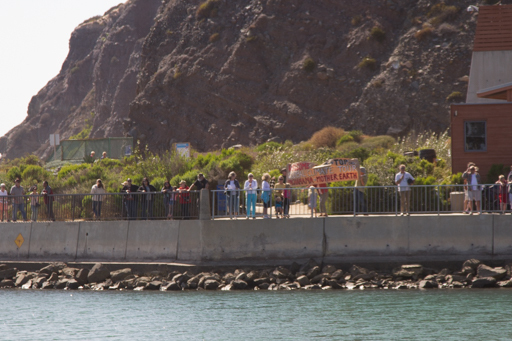 We have arrived in Dana Point to what can only be described as a rapturous welcome, both on and off the water - including the count sheriff boats water display escorting us into the harbour! Thank you so much to Gary and Laurie of San Clemente Green for organising this amazing welcome and getting a crowd down to greet us. We will be docked just outside the Ocean Institute in Dana Point for the next two weeks. If you are in the area, please do come down and say hi, or join us at our public presentation this Saturday (11th) at the Ocean Institute at 12 noon. The sail down from San Francisco to Ventura was bumpy to say the least! 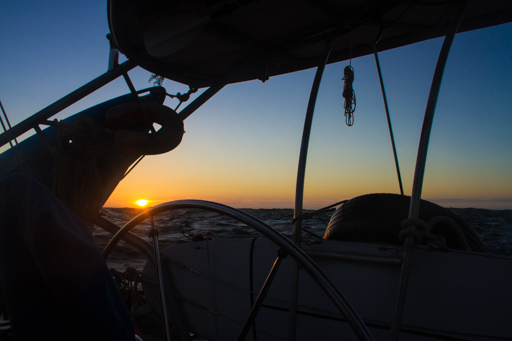 With gusts of 45-50knots and a 12ft swell behind us, it was a very quick passage down to Ventura. Where we were so happy to see the Harbour Patrol dock - with its calm waters to catch up on some sleep. We ended up spending a few days in Ventura visiting our friends at Patagonia - a mere 10 years after meeting Kris Tompkins inPatagonia, where Salina was born. It was such a special moment for us to make it down to the company Patagonia - thank you for being so welcoming to us. 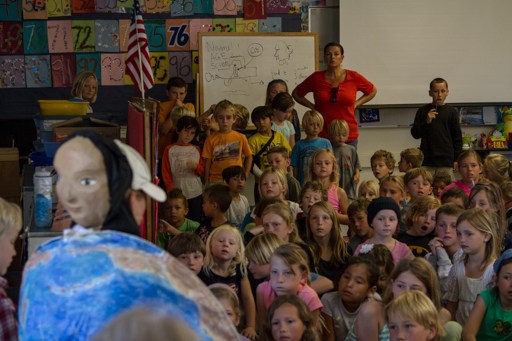 On Thursday morning we were invited to Pierpont Elementary where we gave a presentation and performed the muppet show to lots of the classes there. The school, looking out onto the ocean, also had a garden where the children reused their old baby shoes as planters for salad! It was great example to see - thank you for having us into your lovely school! 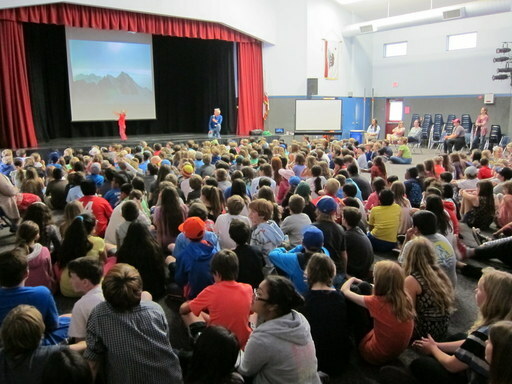 From the school, we returned to Patagonia to learn more about their 'Worn Wear' initiative which kicked off this week. Their beloved truck 'Delia' and a team of clothes repairers, storytellers and employees will now drive across the US over the next six weeks. Along the way they will fix old Patagonia clothing. From your trusty boar shorts with a hole in a slightly unfortunate place, to that jacket which you nicked on a nail last week. These wonderful people will be fixing, patching, re-zipping your old Patagonia kit giving it a new lease of life. The tag line - 'if it's broke, fix it', is an excellent one for us all to live by. By doing this, we reduce the need to over-consume and use more resources making new clothes. To find out more and see if they're coming to a place near you, check it out here. Patagonia also has the biggest clothing repair centre in North America, based in Reno. Last year they brought 33,000 pieces back to life, some of the stories are told in this lovely little film. It was a breath of fresh air to see a company doing such great things for the environment... Patagonia, we salute you! 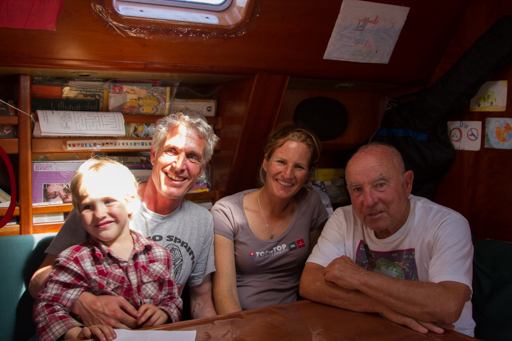 Whilst there we also had a chance to chat with founder Yvon Chouinard, who then joined us on Pachamama. Thank you for having us and sharing your inspiring company morals, may more corporations follow your lead. It was then time to continue south down the coast toward Dana Point. Thank you to everyone who made us feel us feel so welcome whilst in Ventura, especially Pat, and the other families we met. Whilst in Ventura we had learn't more about the Channel Islands conservation just off the coast of LA, who run some fantastic initiatives to help the environment and local species. The winds were favourable for us to stop by these on our way and so we did. The Channel Islands National Park is comprised of 5 Islands, we stayed two nights here, anchoring first off the largest island Santa Cruz island and then the smaller Santa Barbara island. The islands are home to over 2000 species of plants and animals, 145 of which are found no where else int he world. It's a haven of nature and tranquility, making it hard to believe you are only a few miles off shore from LA. Now, through advanced technology, Channel Islands Live brings the park to you. Join rangers as they dive through towering kelp forests and hike dramatic island trails. 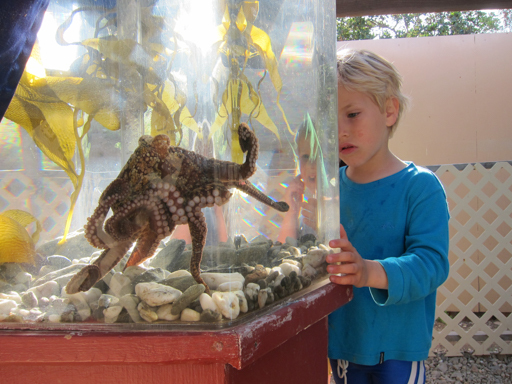 Explore the Anacapa Light Station. See nesting bald eagles and the region's largest western gull rookery. Learn about this unique island chain, the threats confronting it, and how our national park is protecting and restoring this diverse ecosystem. 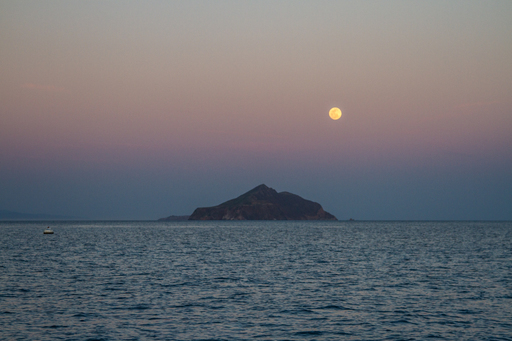 We spent our final night just off Santa Catalina island, although not part of the national park, we were pleased to see the island is also teeming with life and great environmental efforts. Including that of the marine biology camps, held in three locations around the island, welcoming school groups all year round. The school children, camping out on the island, get a chance to kayak, snorkel and explore the amazing marine biodiversity the island offers. 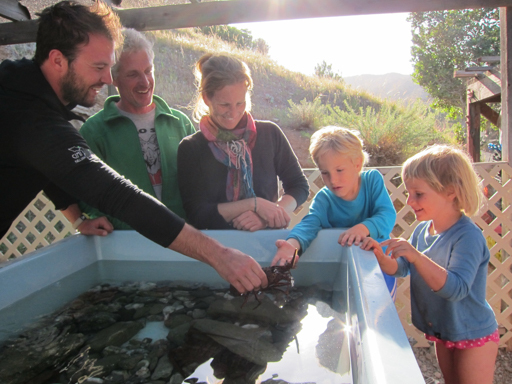 We were lucky enough to be shown around too - seeing their recently caught horn shark (which will be released back in a few weeks) as well as a array of other animals - thank you for showing us around! 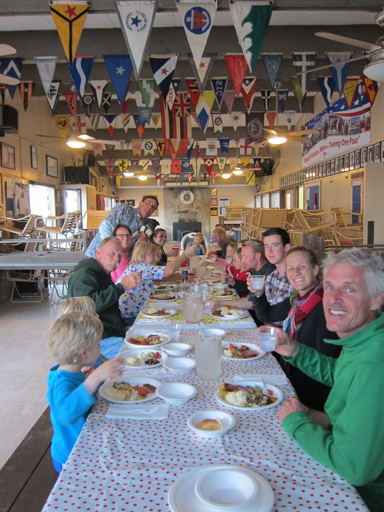 En route back to Pachamama, we met the very kind family of the 4th July Yacht club, who were just sitting down to their Easter meal and very kindly invited us to join them - thank you so much. You made our Easter one we won't forget anytime soon. Finally, some of you may remember us reporting on the terrible drought in California. As we were cycling through everyone was hoping that a sizeable snow pack over the winter would save them. This week we learn't that this winters snow was a shocking 94% less than average, meaning the drought is far from over and only set to get more serious. It's a worrying time for California, but also a good display of how communities need to start really thinking about water, preserving our sources and acting before it gets too late. Click here her an interesting website to learn a little more. See the ABC TV report here! 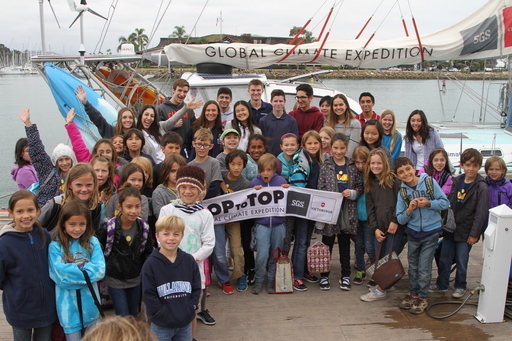 Thanks to Gary Hendrick (San Clemente Green) our stop at the Ocean Institute in Dana Point became a highlight on our expedition. 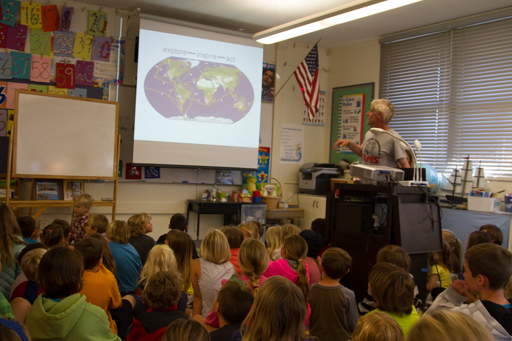 We did many public and school presentations. 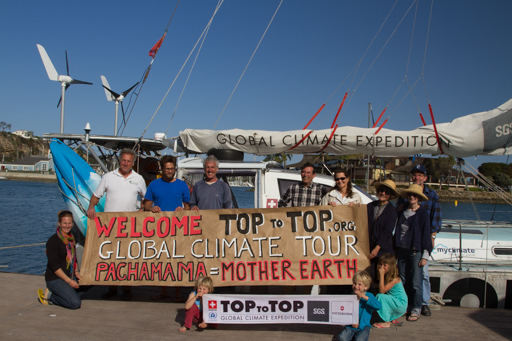 Many people enjoyed a tour on Pachamama docked at the Ocean Institute, but the best was the new friends we got here. Many thanks to all of you!